Description: 1931 Home Billiardette Table, Billiardette Table Mfg. Corp. (Baumann Manufacturing) Chicago IL, 1931, proportionate to a standard billiard table, with the eight holes. 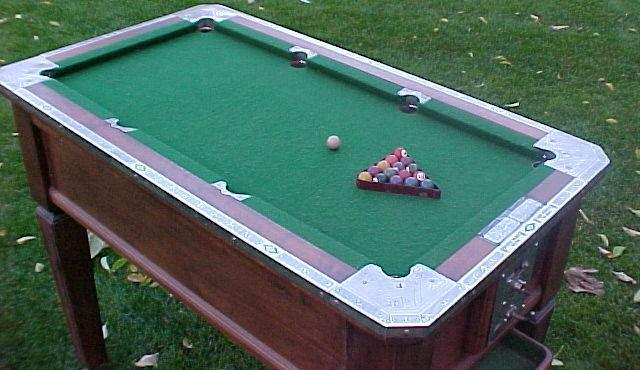 A coin-op mini pool table. 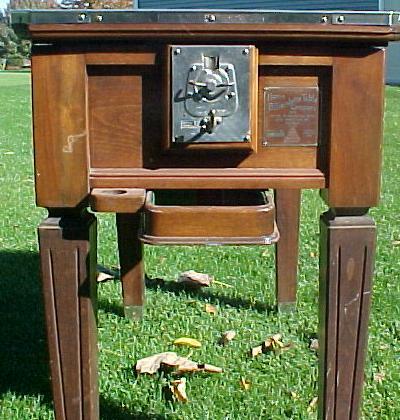 There was also a 1934 Billiardette table with six holes. All the coin-op pool games of the 30s arose from a work-around of prohibition. Apparently by adding coin-op (and I guess by miniaturizing the table), they were able to work around the prohibition law (pool was outlaw in some states like Texas during prohibition). Apparently pool halls were closed because they kinda went with liquor. But the laws in Texas and another state (can't remember which) were written such that miniature, COIN OPERATED pool tables got around the law. They were all the rage for several years in the early 1930s. 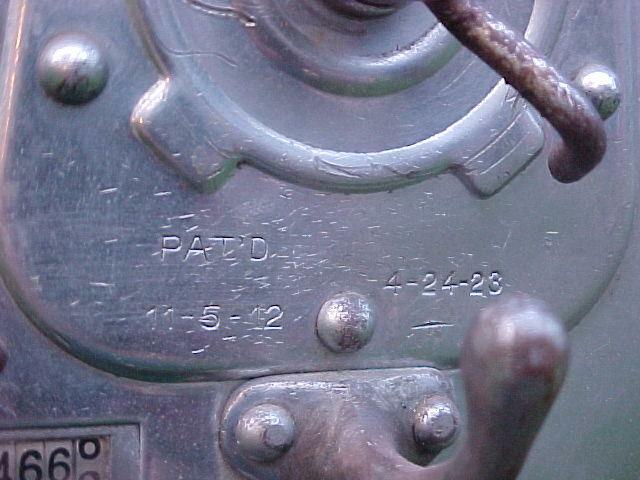 They apparently died out very quickly by 1936 or so. At the peak there were about 15 manufacturers of mini coin op pool tables. 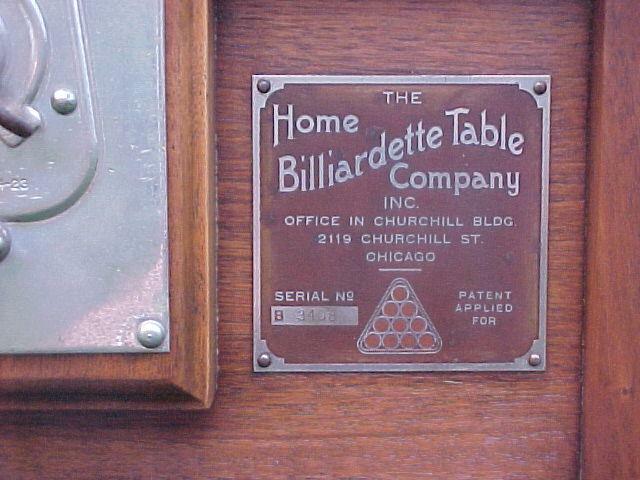 The Billiardette Table Company went out of business about 1935, were sold to basically a clearing house that was selling the inventory. No trace of them after the late 1930s.